Comments: Tomo 29 year old groom Babic (Nee: ) | Gary IN United States | 1901-1920 | Comments: I rescued this wedding portrait from an auction. The seller did have some identifying information. The bride-was 14, named Josefina Kurecka-b. Bohemia. Groom is Tomo Babic (Babich). This family-appears through different census's. Jossie is in the 1910 and is 8 years old. She was 14 when her parents married her off to Tomo. 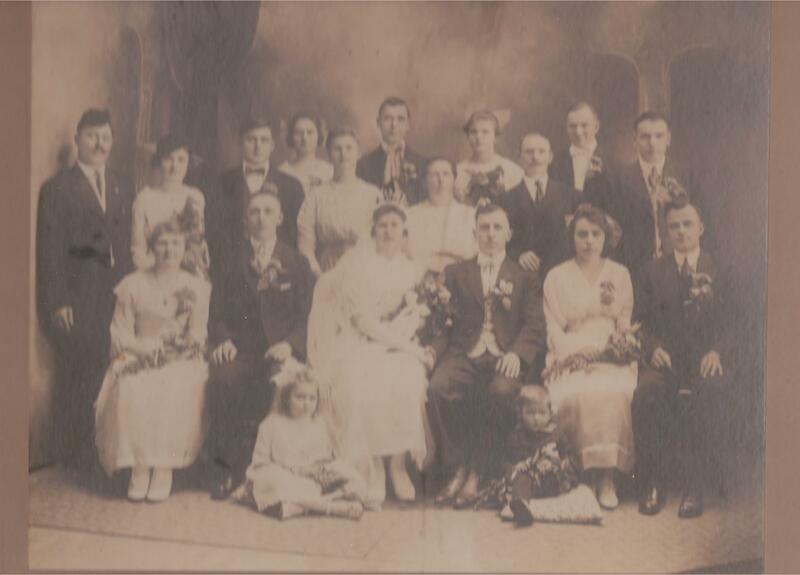 I'll include the research I've done and the copy of the photo, where the previous owner identified persons in the wedding party. I'd like to locate family to send it all off to, and all I ask is what I paid for it & postage.